The other day I had a discussion with a tech who’s one of our newer Total Immersion students. I asked him how his sales calls were going, and to his credit, instead of just B.S.-ing me and saying, “fine”, he told me the truth about something that’s been bothering him. We teach that early in the presentation, and again right before presenting the customer’s options (and the price), you should get the customer to verbally commit to the fact that you’re there to fix their problem. Not bid, not estimate… but fix. Our benchmarks include asking who did work on their equipment before and why the customer didn’t have that company come back this time. We encourage them to tell us verbally why they’ve chosen not to do business with that competitor again. Our process is about doing what’s best for the customer and their family in the long-term. Sometimes that includes suggesting a replacement or a more major repair instead of just making a temporary band-aid repair that won’t last. Our industry has taught customers to get bids and choose the cheapest one. We don’t work that way in our program. 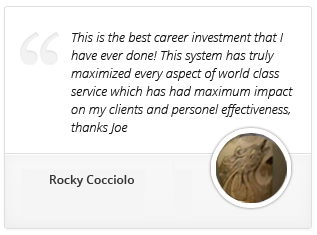 Since we’ve already gotten the customer’s commitment to do the work and we’ve offered an array of solutions and prices to fit any situation, we teach that you should ask more than once for the job. See, sales tactics are like a hammer. They’re just a tool. A hammer can be used to do something really nice – like building homes for the homeless. It can also be used for evil – like as a weapon to hurt other people. But either way, the hammer itself is innocent. It’s the intent and attitude of the person using the tool that matters. Selling is no different. We all love our Moms, and we want what’s best for them, right? So at times we encourage Mom to buy a new security system, go see the doctor, take her medication when she’s supposed to, or get the brakes on her car repaired – even when she doesn’t want to. Why? Because we love Mom and we know that encouraging her to do these things is ultimately the best thing for her. So why does your customer deserve any less consideration? While you’re on the clock, your customer is the most important person in your world. It’s your duty to provide them with the best possible solutions for them and their family. Like the hammer analogy – it’s all in your intent. If you’re a bully about it, you’ll fail. If you approach it with an attitude of caring and servitude, not only will your customer be better off, but you’ll be more successful in your work. We’ve already looked at the four “sticking points” for the tech with the wrong mindset. Now let’s look at them with an attitude of caring, and servitude. What happens when we don’t get the customer to commit to fixing the problem from the beginning? They wait. Their small problem can become a major (potentially dangerous) problem. They take bids, go with the cheapest one, and get a band-aid repair that doesn’t last and costs them more money and suffering in the long-term. Would you let your Mom do that in the dead of winter or the heat of summer? Or would you want her problem fixed right now and fixed permanently? When the customer tells us why the last company failed, it reminds them why they called you out – for a better quality experience. By skipping this step, you leave the door open for them to “think about it”, give the company they were unhappy with another chance to do another bad job for them, and cause more system problems for them in the future. 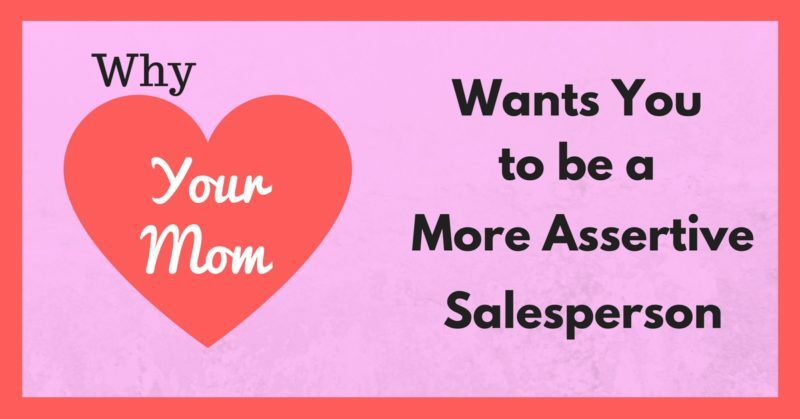 If your Mom was going to call back a company that did a lousy job for her or treated her poorly, would you let her? Or would you encourage her to find another company who would permanently fix her problem and treat her well? Especially on older systems, band-aid repairs of minor parts lead to even more band-aid repairs. By not addressing the whole system, a customer can wind up spending more over time (and dealing with a TON more hassles) than if they choose a proper repair or replacement. Do you want Mom to have to deal with a plumbing, HVAC, or electrical issue every few months? Of course not. Wouldn’t you encourage her to do the repair the right way and have it done with? When faced with a decision, most people stall on making a decision even when they know it’s something they should do. By saying, “Now, Mr. Customer, you told me when I got here that you wanted to fix this today if I showed you a good solution… so what should we do?” – you’re reminding them of their need for a solution – not bullying. It’s all in your attitude and your intent. You can be a bully and pressure people into buying from you. This is a terrible way to live, and incidentally, never works long-term. You can be a total bust as a salesperson and not use the tools you have at your disposal to help people…. …or you can do the right thing and be your customer’s backer by encouraging them to choose permanent solutions they really need that will save them time, money, and grief in the long-term. Given those three choices, what do you think Mom would want you to do? Our Total Immersion Program will teach you how to get customer buy-in throughout the service and sales process, making the buying experience more enjoyable and effective for all parties involved. Click here to learn more and see when our next summit begins. Love your weekly Blog Joe excellent information from a very smart, caring and awesome person. I highly recommend Joe’s Total Immersion class.